The Verona Cup will once again form the framework for the Verona eSport Cup in FIFA in 2019! As a participant in the Verona Cup 2019, you again have the opportunity to sign up for the eSport tournament in FIFA. Here, you compete 2 against 2 in the match to take the championship home to your club. As a whole, there will be representatives of AC Horsens’ FIFA team, who are in Verona to scout players. 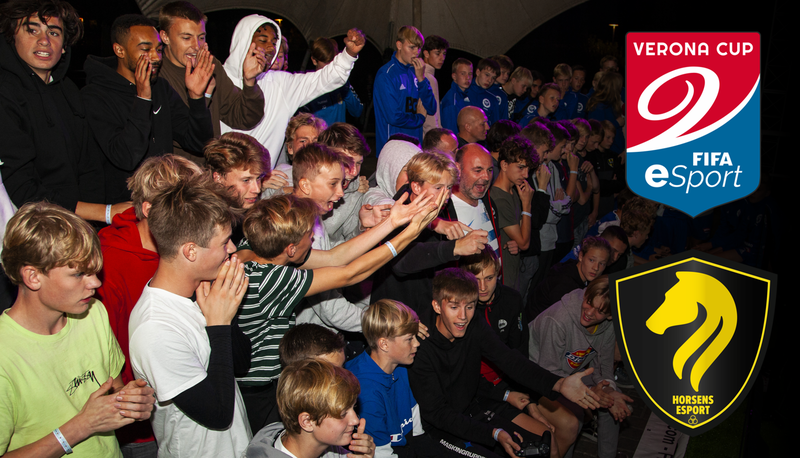 The scouted players can get the chance to try out AC Horsens’ FIFA team from the eSuperligaen. Last year’s tournament was the first of the kind, and with the overwhelming success and good reception we received, we have decided to turn even more up for the event this year. Both in terms of prizes, equipment and conditions for players / spectators. Horsens eSport ensures that the equipment is in the top. There will be a professional setup with big screen, PS4, controllers and seating / standings at the stage for players and spectators. It is possible to register two teams of two people per. registered football team. Ie If the club has both a U15 and a U19 team for the tournament, four teams can be enrolled.